Your big day is all about saying “I do” in the presence of the friends and family who have nurtured both of you to this point. But we all know it’s about more than that: It’s about the flowers. The seating charts. The first dance song. The band or DJ. The favors and colors and dresses and boutonnieres and sparkling wine … and of course, the wedding catering. Ah, yes, the food. What wedding would be complete without a complete array of appetizers and entrées, salads and rolls, beverages and service? Here at Famous Dave’s DMV, we take care of all the fixin's for you so that you can worry about the bigger things: seeing everyone on the guest list, making sure Aunt Mary and Cousin John don’t get into another public fight, and not tripping as you walk down the aisle. Not that you’d trip as you walk down the aisle, of course. But here at Famous Dave’s, we want to make sure that you can put all your attention on the details that make your wedding special, while we focus on providing the down-home grub (aka wedding catering) that will ensure everyone has the best possible time. If you’ve ever been to a wedding, you know how long the day can be for guests. They get ready in the morning, likely travel to the ceremony, watch the bride and groom say “I do”, and then wait for the reception to begin. You’ll also remember how hungry you were during this time, as guests have little to no time to eat throughout the day! When it’s time for you and your future spouse to tie the knot, the last thing you want to worry about is how hungry your guests are! After all of the effort they put into being there for you on your big day, it’s important to reward them with a full feast at your reception, and what better way to feed the masses than BBQ? 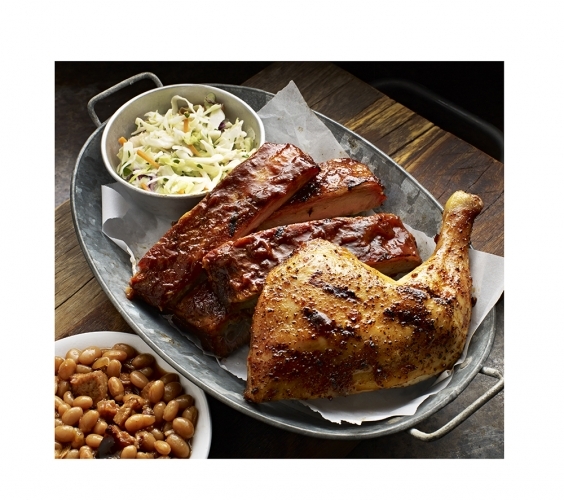 Famous Dave’s DMV offers amazing, full-service barbecue for weddings across D.C., Maryland, and Virginia, providing an amazing meal at the end of a happy, but exhausting day! 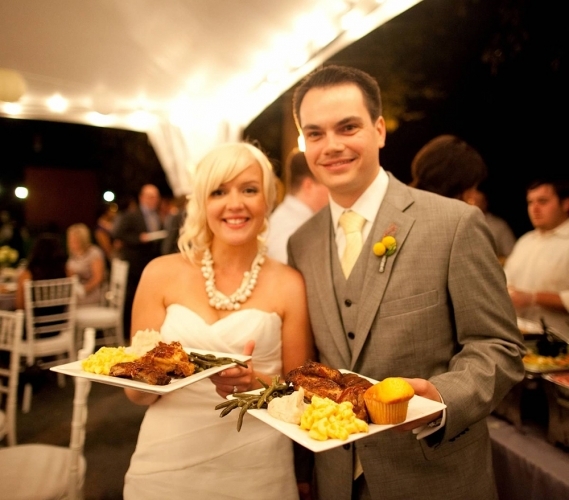 No Matter the Theme of Your Wedding, Ribs, Chicken, and Brisket Always Fit the Menu! Western Weddings – No matter if you’re adding a few Western references or transforming your entire event into the old Wild West, we’re here to help. 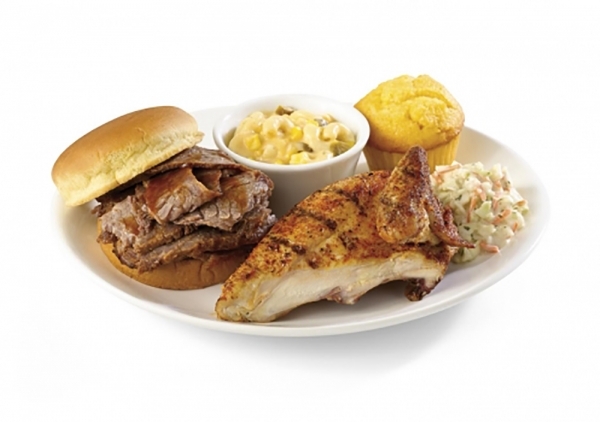 With catering from Famous Dave’s DMV, your guests will be confused as to if they’re in the DMV or Texas! Barn Weddings – Couples have increasingly been setting their weddings in barns, and for good reason; it’s a fun aesthetic and should be complemented by the best BBQ in the DMV area and scratch-made sides from Famous Dave’s DMV! Outdoor Weddings – Whether your venue is a beach, a park, or even your yard, outdoor wedding ceremonies and receptions are always a popular choice. The Pitmasters at Famous Dave’s DMV can cater a full-service meal in any of these locations, and can even serve your guests food truck style! Casual Weddings – Who needs all the frills? Sometimes a wedding is just about the love that a couple have and the rest of the party can be simplified to a casual affair! Famous Dave’s DMV provides the same amount of care and attention to detail to small, informal weddings as we do for the most over-the-top ordeals! When it comes down to it, your wedding should reflect you and your future spouse’s personalities and likes! By choosing Famous Dave’s DMV to cater your wedding, you’re showing your guests that you’re fun, care about awesome food, and want to bring everyone together for a great time! 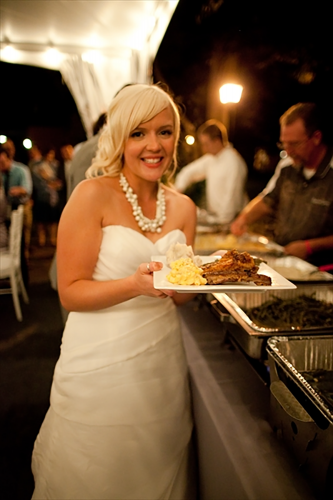 Unlike a tiny chicken and vegetable dinner, Famous Dave’s DMV BBQ ensures that everyone at your wedding will be able to eat their fill. From pulled pork sandwiches to roasted chicken to slow-smoked BBQ ribs in both Baby Back and St. Louis style, your guests will have tons of options when they belly up to the buffet. We also provide precise quotes ahead of time, making it easy to choose a menu that sticks with your wedding’s budget. 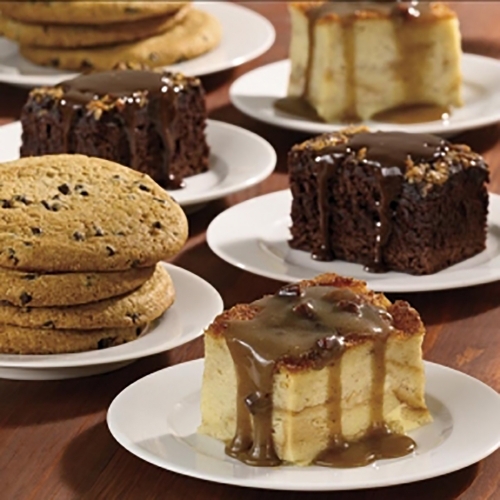 Don’t skip out on great food at your upcoming wedding reception! For more information on our wedding catering in the DMV area, call our Catering Hotline at (855) 783-86466 or Request a Quote today!